Node.js was initially developed by Ryan Dahl in 2009.Now the development is sponsored by Joyent. In 2010 Node Package Manager was introduced for managing libraries.In 2011 ,Windows version of Node.js was released by Microsoft and Joyent. Currently , a large number of packages and utilities are there in npm repository. Node.js enables the developers to develop web servers without threading.This is accomplished by event driven programming that use call backs to complete the task.In web servers like Apache HTTP ,a separate thread is created for each incoming client requests.But for node.js servers , it has only one thread for all the incoming client requests.This is the asynchronous event-driven main thread.The main thread posts the independent tasks to a task queue. 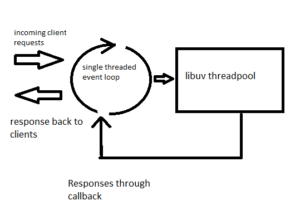 Node.js has a libuv library which has a thread pool with a fixed number of threads.Those tasks would be taken up by the threads in the thread pool.When a task has completed,it informs the main thread and hence the registered callback would be executed.And thus the response would be sent back to the client. It is the Node Package Manager.Node.js has an npm registry ,which has a lot of packages. NPM is used to install and manage those packages from the registry. Using npm , a package can either be installed locally or globally. Default installation is the local installation.There ,the installation happens in the node_modues directory of the application/module.Whereas in global package installation,installation happens in system directory. 1)Install.js and npm.I am currently using Fedora24,so dnf command will do the installation for me.Prior to Fedora 22 ,we should use yum command. Its all about the installation in Fedora.One can verify the installation by typing the commands. Download and install Node.js from here. 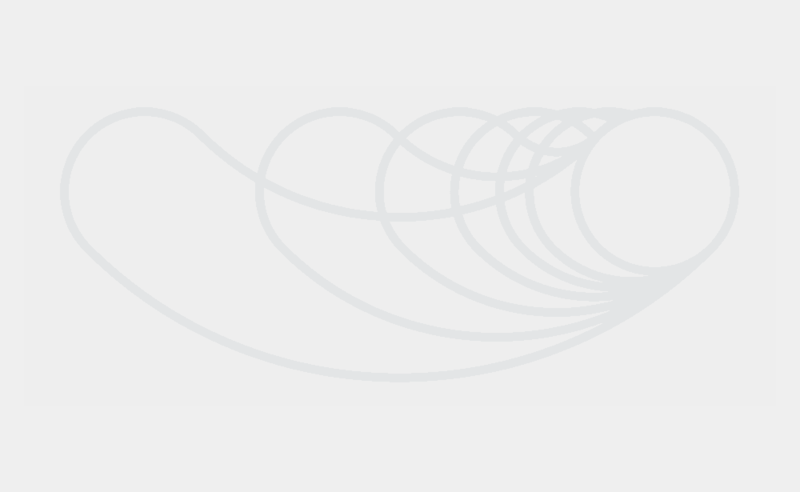 Let us design a Node.js server which returns a string message to the requesting clients. Paste the following contents to the sample.js file. The message ‘server is up on 4455..’ would be displayed in console which indicates that the server is running and ready to accept requests from clients. It is very easy to create an npm package or module locally and use it .We are planning to create a module ‘samplemodule’ which displays a message in the console(To make it simple ).Then we can install and use the package.Once it is installed locally or globally,we can call the package and use. This would prompt the us to enter the details.Once all the details were entered a package.json would be created. The package.json contains the module metadata.This file gives inforamation to npm about the name , dependancies etc. 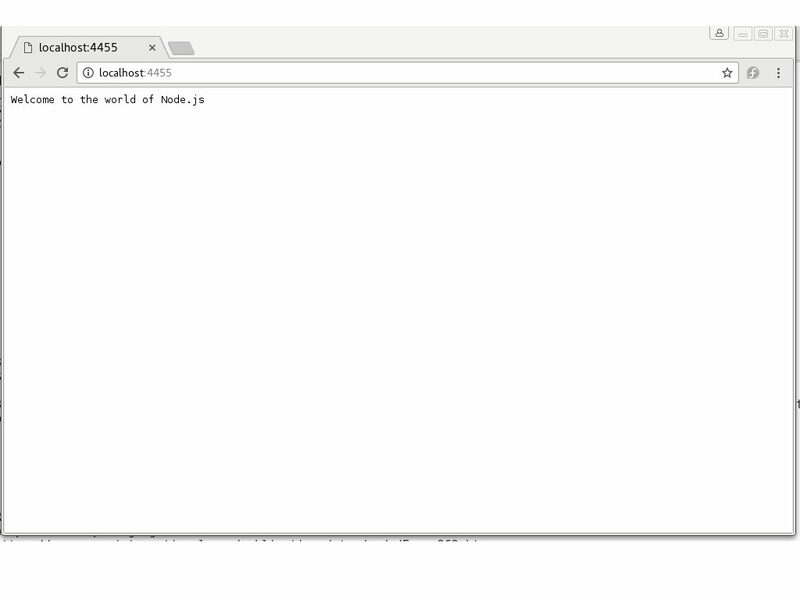 4)Now create the file to be loaded when the module is requested.Since we opted index.js while doing the npm init command,create the index.js file in the module. and just add a function to the exports object which simply displays any message in the console. in the sampleModule directory .So we installed it globally. 6)Once it is installed,just create another test file out side our package .Open it and call the package to invoke the function too see the message in the console. 7) Now run the testfile. The message “Message from samplemodule” would be displayed in console. Since Node.js is event driven,it is suitable for real time applications like chat applications. It is not suitable for heavy computational tasks.